As we speak, so to speak, your teenage daughter is sitting across from you at your 1950s yellow Formica table. Your cat, having just eaten, is at your feet mewing loudly in search of a lap. Your daughter shushes him without even looking up from the screen on her phone, which is playing a video. The cat leaps onto the table and nestles his head against your daughter’s hair and sweatshirt, trying to get her warmth or attention. Suddenly the phone rings (i.e., Jeff Buckley’s “Hallelujah” plays), and your daughter answers: “Hey Haley, I’m going to take you downstairs.” And exits for the basement to review the American History notes that she just sent Haley as a series of text photos. Would this be the same daughter who inspired the character of “The Daughter” in Liliane’s Balcony? You could say that. She was with me on my first visit to Fallingwater. She is currently dating her first serious boyfriend. When you were her age, were also dating your first serious boyfriend. It was a teenage relationship, but you think of it as your first love, and you two stayed friends for years. He did. Car wreck, just shy of 30. So “The Daughter” character’s weird ghost story plot also draws on your own past. Yes, but please, enough with what inspired what. Last week I was talking to my dad about the book, and he asked about the dead father of my character Amanda. He wanted to know if there was “something he should know.” As if death was contagious in fathers? He asked the same thing about the lone dead father in my story collection when it came out. You keep answering me, but technically I’ve only asked you one question. The rest are just statements of fact. I thought we were having a conversation. Your thoughts, my thoughts; your words, my words. A book is a conversation of sorts. The author’s thoughts and words mingling with the reader’s. When you read, don’t you feel like the author is talking directly to you? And don’t you answer back? This is what you did when you volunteered at Fallingwater, isn’t it? You were supposed to be an Ask-Me Guide who got asked questions and gave helpful, practical, statistical answers about the house. But you walked around asking visitors questions: Why did you come here? How far did you drive? Have you been here before? How do you feel, right here and now, as you experience Fallingwater? I didn’t ask anyone the last question. It’s the only one I wanted an answer to, but it’s the one I didn’t ask. Sometimes you have to ask all the wrong questions to get the right answers. That puts a lot of pressure on an interviewer! How do I know which questions are wrong? They are the ones that lead to the right answers. What questions did you ask as you wrote Liliane’s Balcony? Why, Liliane, why? What, Liliane, what? What else, Liliane? Really? And the other characters! Daughter: Can you handle the truth? Josiah: Are you mad that I almost tried to kill you off? Amanda: Fleetwood Mac? Does it even fit? Janie: I wrote all this other sections wherein you are in the future and you regret what you will do in this story. Should I put that in? Leave it out? And what answers did you get? Because and this and that and yes and yes and pay attention and of course and maybe and maybe not. But I also got Amanda’s dad’s death. And Janie’s literary dreams. And Josiah’s ambitions. And the daughter’s ghost-lover. And the ghost of Liliane. The Goethe poem, her poetry. People often ask you if you write poetry. Which I don’t. I just like alliteration. And punctuation. And white space. I actually write a lot about NOT writing poetry. I once wrote a memoir essay called, “Students Die. And What Is Poetry?” It’s about students who have died, and about how my grad school poetry prof told me I have no sense of line breaks. Is that a trick question? A wrong question? A rhetorical question? If you don’t, I don’t. Liliane wrote poetry. Edgar writes about her poems in his letters to her. You haven’t asked me about the letters I found at the archive. And yet here you are talking about them. I must have asked the wrong question. Except Liliane wasn’t Edgar’s only love. That’s the best part and worst part about those letters. Love is the best and worst part of everything. 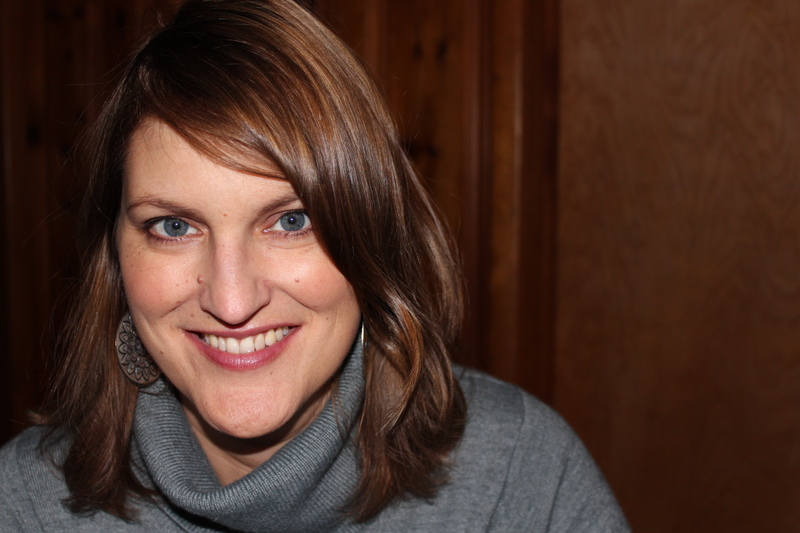 KELCEY PARKER is the author of LILIANE’S BALCONY (Rose Metal Press), a novella set at Frank Lloyd Wright’s Fallingwater. Her story collection, FOR SALE BY OWNER (Kore Press), won the 2011 Next Generation Indie Book Award in Short Fiction and was a finalist for the 2012 Best Books of Indiana in Fiction. She is the recipient of an Individual Artist’s Grant from the Indiana Arts Commission and a Promise Award from the Sustainable Arts Foundation. Her stories have appeared in numerous literary journals including Notre Dame Review, Bellingham Review, Santa Monica Review, Indiana Review, Third Coast, Redivider, Western Humanities Review, and Image. She has a Ph.D. from the University of Cincinnati and currently directs the creative writing program at Indiana University South Bend.